Cross-posting from SA with permission from the moderators. 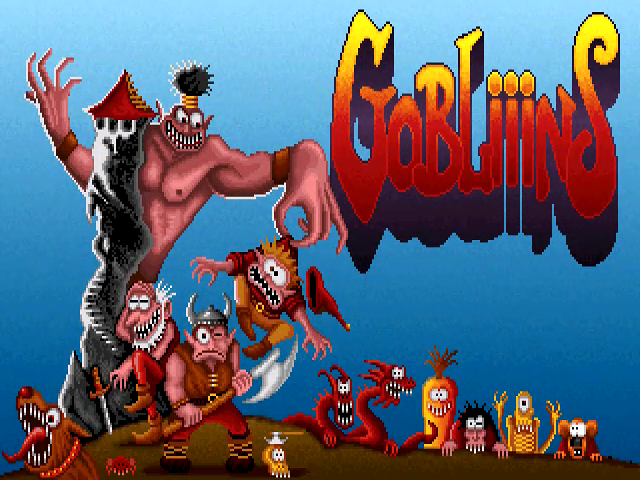 Way back when I first started doing LPs on Something Awful, I started with an LP of Gobliiins, a quirky, nonsensical, and very difficult game, intending to go through all three games in the series. Technical limitations got in the way, and I burned out at the end of the second game. I didn’t have it in me to do a bonus video for that LP, let alone take on the third game. Now that technology has caught up to my needs and I’ve got a lot more experience at making videos of games, what say we take it from the top and revisit the games, doing them a bit more justice this time? 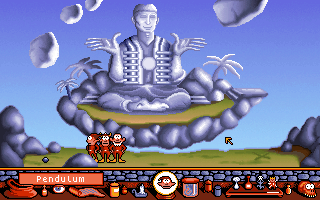 Welcome to the Gobliiins series by Coktel Vision Software, the French developer who brought us Woodruff and the Schnibble, Lost in Time, and Urban Runner, among many other adventure games. 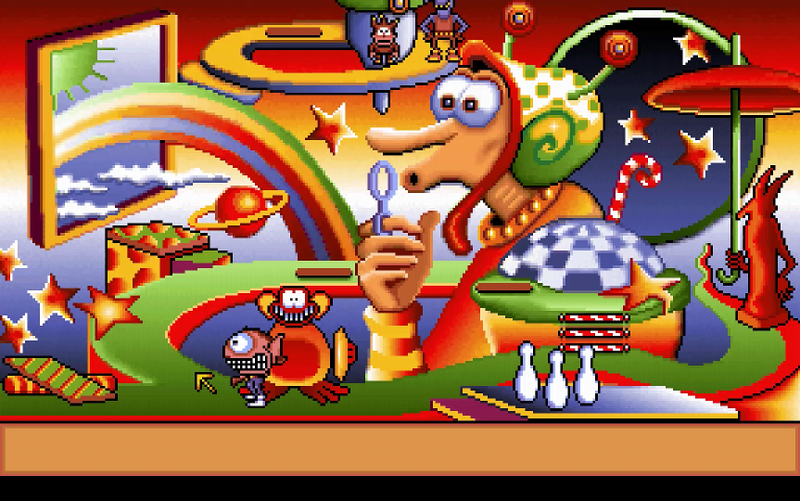 Coktel’s games all share a similar type of logic which can be summed up thus: Whatever you think makes sense, fuhgeddaboutit. The correct answer is always the last thing you try, and even when you’ve solved a puzzle, it’s not always obvious what you’ve accomplished or why you’ve done it. At least this series doesn’t have us wearing a Poohsmurgl and eating Boozouioli while chanting around a Chprotznog in the center of Vlrxtrznbnaxl. (A sentence that actually makes sense in another context.) Instead, we go to a variety of distant places and do equally strange things. 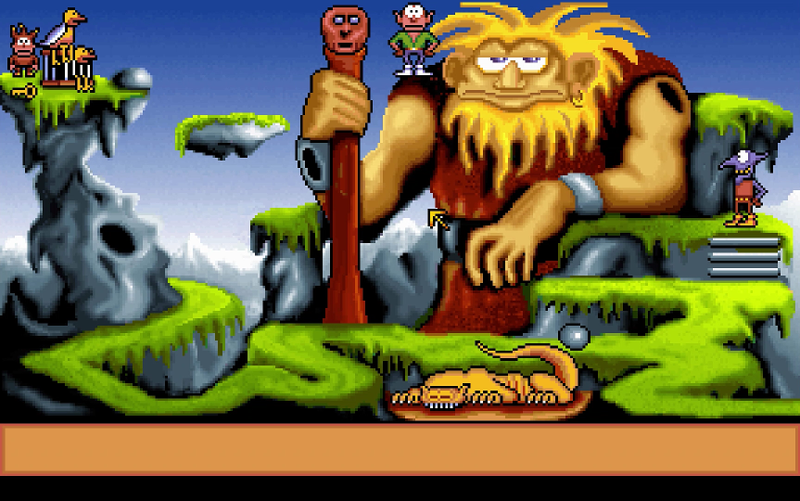 The Gobliiins series features a somewhat unique gameplay element, at least for its time - multiple controllable characters, each with his own skills and abilities that will be needed to complete the game’s objectives. Sometimes, that adds to the complexity of the puzzles by forcing you to think about which character is best suited for a particular action. At other times, it just means they had to shoehorn in more reasons for punching to be the solution to life’s problems. Not that I mind, exactly. So, in the spirit of sharing puzzle-solving duties between two or more characters, I’ve decided to do this LP in two distinct styles, concurrently. In one set of videos, I’ll be going through the CD versions of the games in my usual style, which will be familiar to anyone who’s watched any of my adventure game LPs before. (If you haven’t, my biased opinion is that you should, but you don’t need to do that before starting this one.) In the other set, a guest commentator will be trying to solve the puzzles in the floppy versions with me as their mostly benevolent but also aloof guide, keeping them on track without providing more direction than they need, so you can get the proper outsider’s perspective on how difficult the games are when you don’t know what you’re doing. You can watch either set of videos, or both, or even neither, although if you don’t watch any of the videos, you’re probably just wasting your time even reading this thread at this point. Updates are likely to be pretty slow because I’ll need to coordinate with my guest to record the guest videos, but I’ll try to keep on top of things enough to keep a steady pace and post the videos for future updates as I finish them rather than waiting to release a batch all at once. I’ll also correlate the videos in each set so you can switch back and forth if you want without missing any of the game content. There will almost always be more videos with a guest to cover the same amount of the game, since I know the quickest way to get through everything while the guest will have to figure them out as they go. You’ll see what I mean. 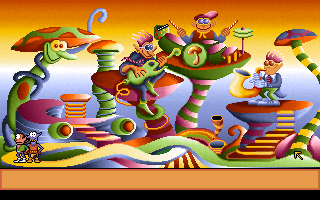 So sit back, grab a can of Kindness Elixir, pull on your shaded sunglasses, and watch us present all four - yes, FOUR - Gobliiins games. For those just joining the thread from its former forum, here’s the new video posted since the hiatus, with new guest The Splash taking over for Leavemywife. 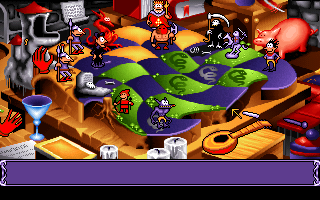 I’m also using a new version of ScummVM that allows us to hear the game while we record, which wasn’t possible before. I grew up with these games, great to see them get some attention. Oh wow, I completely forgot about this series—might need to snag the series 3 pack off GOG. The art style’s really charming and particularly the latter two seem to hold up pretty well. 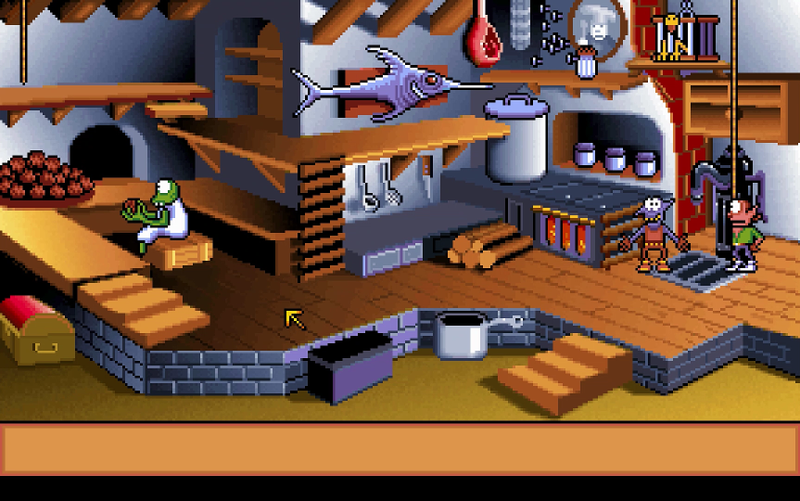 There’s also something hypnotic and a little unnerving about some of the NPC repetitive animations—like that green guy making a million meatballs. It’s off kilter in a way that really works for the series. Good find! I’ll be sure to watch from the beginning! I was too busy this week to post the new video any earlier, but here it is at last. We’re so close to rescuing the Prince! In the first game, we broke the curse on the king about three-fourths of the way through the game, then had to deal with the evil wizard, so it may not be a surprise that rescuing the Prince is not the end of this game either. 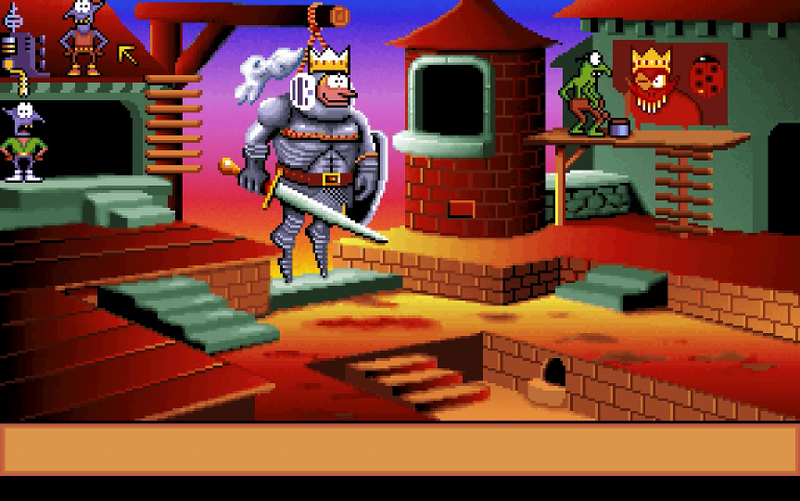 Once we have him, we still need to escape the castle and return to town. Fortunately, there’s a bit of a shortcut. Unfortunately, there are still a lot of puzzles to solve along the way. Thank you for showing the Gobliiins game series. 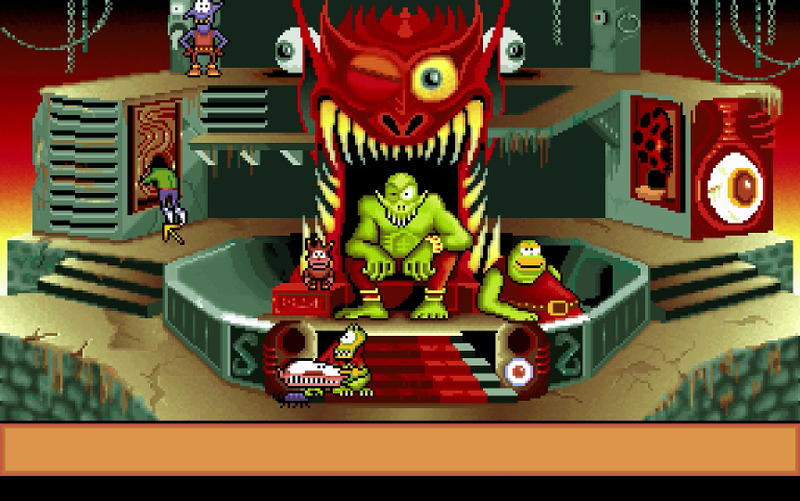 As a child I only knew of Gobliins, and I only had the demo. Since I never got the full games I somehow managed to create a sense of nostalgia for the series with only four screens worth of puzzles. I hope that seeing the full games isn’t ruining your nostalgia. Not at all, I’m enjoying trying to figure the adventure game “logic” alongside with the blind guests. And now I’ll just go save the Prince in the parallel timeline where I’m on my own. If you’ve just been watching the guest videos, this one might be worth checking out if only to see a character that The Splash didn’t encounter. In spite of the audio glitches I think I prefer the version without voice acting, if only because subtitles can’t be drowned out by incidental sound effects. These games are charming as heck but that overly-loud whistling will be the death of me. Definitely agree. I’ll take subs vs dubs just about any day. Gobliiins is a weird series. I don’t think anyone will argue that at this point. But sometimes, it gets even weirder than even its usual. We’ve seen a few of those moments, and this is another one. I don’t think this is even the weirdest part of the series, but I’ll let you judge that for yourselves as we progress. 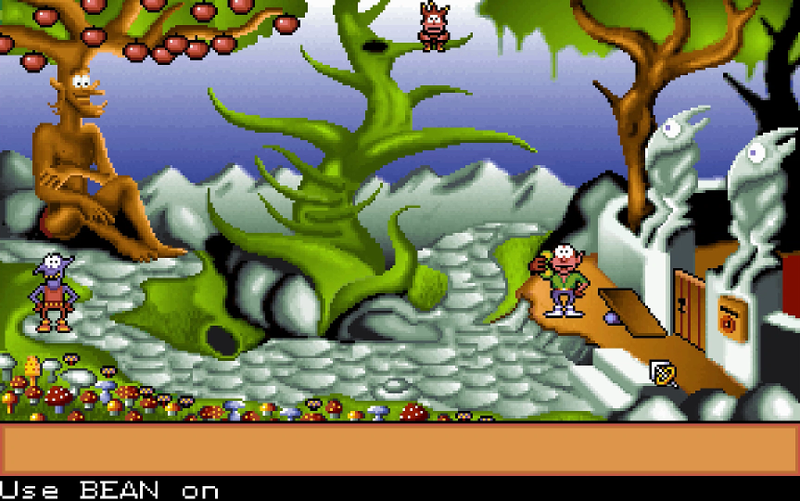 I mentioned previously that I got stuck on a puzzle for several years, this screen is the culprit. Specifically it’s the timing of the open-lid-while-riding-bubble sequence that was the problem, since I kept trying to preempt it so that the lid would open just as the landing occurred, not knowing how the game’s scripts are set up because I was like, seven. Can you even imagine some of these puzzles with the first game’s energy system. At last, it is time for the other candidate for worst part of the Gobliiins series. (Not counting Gobliiins 4. That game is also a candidate, but since the publisher has removed it from the market, it might be ineligible.) 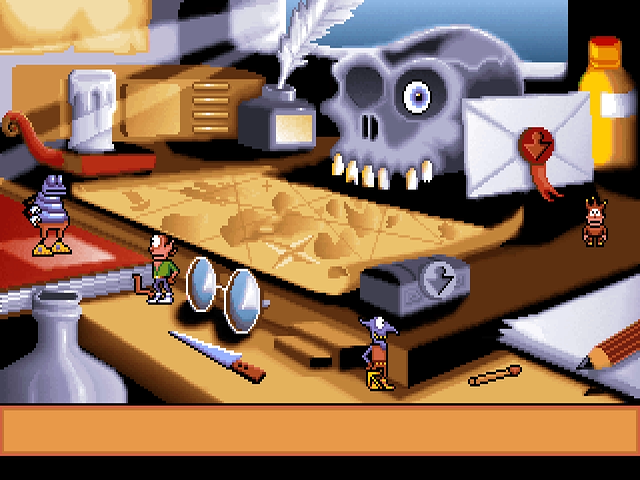 It’s a room with repetitive puzzles like Shadwin the Wise’s Cannon House, but there is no point at which your progress is saved until the end. Mess up once after about the halfway point, and everything resets to its initial state. The good news is that it’s possible to save in this game, assuming you can grasp the difference between progress and having the wrong character do something.